A luxury townhouse with a gourmet kitchen, rosewood floors, Jacuzzi tub and plenty of space to relax and visit. Beds have pillow top mattresses with four-inch memory foam, soft 1000 thread count sheets, plush pillows, solid wood furniture, fully loaded kitchen, and clean white towels. Walking distance to the Max, surrounded my nice restaurants, beautiful parks, and set in the new historic section of Hillsboro. Everything you need is here at this townhouse: a luxurious home with big rooms, high ceilings with floods of natural light, a modern kitchen, full baths, comfy beds, featuring ONE queen bed in private room with full Jacuzzi bath and separate shower; ONE queen bed in private room withfull bath; and optional high quality roll away(s). Each private room is large enough to comfortably fit a roll away. 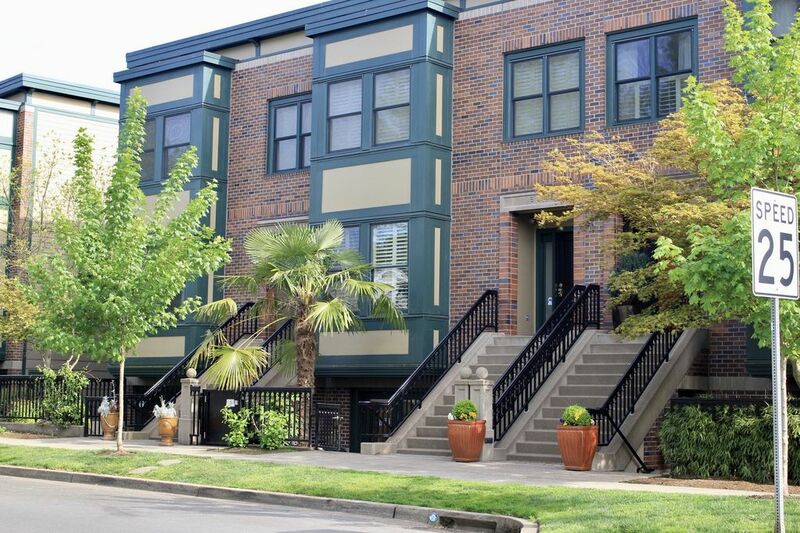 This beautiful townhouse is located in the heart of Orenco Station. The neighborhood is very new and modern with some antique features. This place is great for couples, solo adventurers, business travelers, and families (with kids). Our house sleeps six comfortably. We have a keypad entry and will give you the code to get in. I would totally stay here again. Our stay was great and we had everything we needed. Wonderful stay, beautiful home close to everything we needed! We were in town for a friend's wedding and needed a place to stay. Staying here was so much better than staying at a hotel. The price was comparable and the accommodations were outstanding! Since it was nearby, this was an ideal location. Many shops, restaurants, and grocery were all within a short walking distance. If we needed to go further, it was easy to catch a Lyft or Uber. The townhouse itself is fantastic. Spacious and well-appointed. Working with the owner was a dream. She made everything easy and was very responsive to all of our questions. This townhouse was exactly as described; it was clean, comfortable, homey and in a great location. The owner was also very accommodating. This place was amazing. Stayed here for my son's wedding. Had everything we could possibly need and more. Close enough to Portland and surrounding areas. Definitely stay here next time I come up this way! Thank you for your kind review, I'm so glad you andyour family and friends enjoyed your stay while celebrating your son's wedding. I look forward to hosting you again. Great townhouse in a nice area. A terrific farmers market a block away.